In June 1971, a symposium on the Structure and Function of Proteins at the Three Dimensional Level was held at Cold Spring Harbor Laboratory. 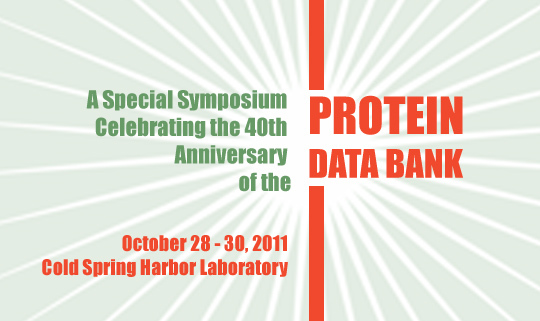 That meeting defined the beginning of the Protein Data Bank as an archive for the experimentally-determined 3D structures of biological macromolecules. The meeting will begin with an evening reception and plenary session on Friday, and conclude with lunch on Sunday.